ISLAMABAD: Once was a small backward fishing town off the Arabian Sea in Pakistan’s southwest Balochistan province, Gwadar now is rising fast at the economic landscape of the country and is attracting more businessmen for emerging business opportunities. The deep-water port became fully functional since late 2016 under the China-Pakistan Economic Corridor and berthed its first liner in March 2018. 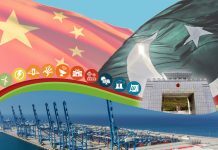 According to the port’s operator, China Overseas Ports Holding Company (COPHC), some 20 companies in different businesses have already joined the Gwadar free zone with direct investment of around US$460 million. “I conducted a survey and decided to establish an international fast food chain restaurant in Gwadar,” Umair told Xinhua recently during his business visit to Gwadar. Umair migrated to the United States in 1996 and now is the owner of a couple of pizza restaurants and a superstore in Houston, Texas. “I chose Gwadar because it is a growing port city with enormous opportunities which can give me good earnings. This restaurant will be a start. I have the plan to invest in other businesses also. It might be a factory,” said Umair, who looked very optimistic after visiting the modernly developed port and other ongoing development projects in Gwadar. The development of Gwadar is laying a strong infrastructural foundation for the future development as well as creating new employment and business opportunities. The continuous progress through swiftly completed projects has increased Pakistanis’ trust in Gwadar. “On the return, I didn’t know what to do, but finally, a friend guided me to Gwadar and I started a construction business in partnership with a local partner. Now, I am very happy with my work,” said Zamir, who is also planning to establish a private college in the city of Gwadar. 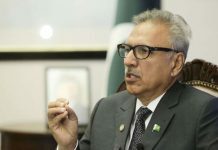 Zamir told Xinhua that he was very disappointed when he first reached Gwadar, but he remained persistent and, finally, opportunities started knocking on his door. The fast development has also caused a surge in Gwadar’s population as it has increased from some 85,000 in 2007 to around 140,000 currently. Seeing the influx of a big number of people in Gwadar, the telecom companies have also started upgrading their services there and now people can enjoy the speedy 4G mobile connections. Khan said his father urged and facilitated him to start the new venture, saying “it would be good for your future”. His words become true. “It has been proven right as my business is picking up day by day.” Chinese companies have changed Gwadar within a short period. 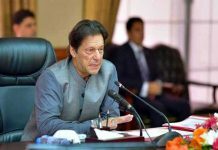 People can now see a well-developed port, business center, free zone, water desalination plant, improved health and education facilities, a change which is laying a foundation for Pakistan’s prosperous future, said Khan. We will give you best offers for your property, for sale/purchase Gwadar or if you want to get our expertise in documentation than you are just a call away. For any kind of assistance feel free to contact.